Here’s what they don’t tell you: calcium competes with iron for absorption. This means that when you eat your iron-rich breakfast cereal with a cup of milk (soy, almond, or regular), the iron isn’t being absorbed well because the calcium is blocking it. What about your burrito bowl with chicken and beans? Well, if you add on cheese or sour cream to the mix, this calcium is blocking the iron from the chicken and beans from being absorbed. So what do we do? If you are someone who is iron deficient, it’s important to plan you meals out so that you have one iron-rich meal per day with no calcium to block absorption. Keep in mind that dairy products are rich in calcium. Your best bet is to enjoy one meal that includes an iron rich meat source (if you eat meat), beans, dark green leafy vegetables, and skip out on the dairy products. Here’s another hint: vitamin C actually helps iron absorption! Adding in tomatoes or a side of fruit to your meal will help you absorb even more iron. If you are iron deficient, taking an iron supplement may be beneficial. However, it is very important to take it at the right time so you absorb as much iron as possible. A multivitamin isn’t enough because most contain iron and calcium. The best time to take an iron supplement is at night before going to bed. Make sure your dinner is digested and that you take the supplement with orange juice for a vitamin C boost. Some people experience stomach discomfort when taking iron, so taking it at night may help prevent this. Do you have more questions? 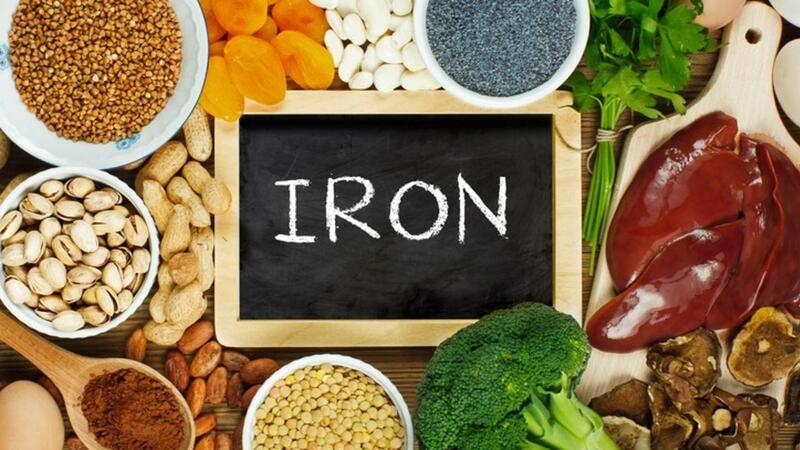 Reach out to a Registered Dietitian for iron-rich meal plans and to learn more about iron!